Today in Tech News Digest, Google Glass gains new features and a new sign-up page, Twitter unveils Custom Timelines, Microsoft scraps its hated internal employee rankings, Google adds more Quick Action buttons to Gmail, the iPad mini with Retina Display goes on sale, Sony adds a layer of confusion to its policy on used games, Vine finally arrives on Windows Phone, and the Justin Bieber-backed Shots of Me app debuts. Google Glass, the potentially revolutionary wearable tech that made a splash 5 Reasons Why Google's Project Glass Is The Future & Why That's Awesome [Opinion] 5 Reasons Why Google's Project Glass Is The Future & Why That's Awesome [Opinion] Google’s Project Glass has everyone talking. It’s a glimpse of the future of augmented reality, wearable computing, and better integration of the Internet and technology in our day-to-day lives. 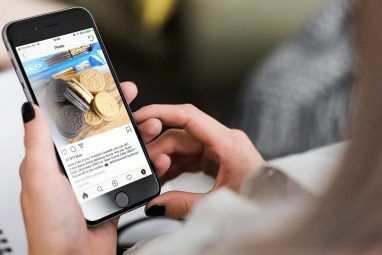 Imagine replacing your smartphone with a... Read More when it was first announced in April 2012, is evolving as it gets closer to being available to buy by ordinary punters. According to the New York Times, Google is adding a set of features to the headset that will make it more desirable to music lovers, which is the majority of the population. New earbud headphones and a “listen to” voice command add another practical use to Google Glass. Meanwhile, Google has quietly added a form to its Google Glass page allowing U.S. residents to register their interest in being a part of the Explorer Program. This is intended to get early adopters on board to help Google shape Glass into the brilliant product it has the potential to be. 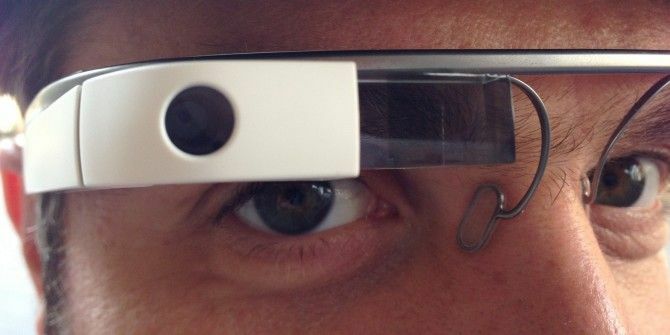 Unfortunately Google Glass currently carries the hefty price tag of $1500, so it’s not meant for the average geek. Yet. Curation on Twitter is going to be huge. Can’t wait to see what journalists do with it. 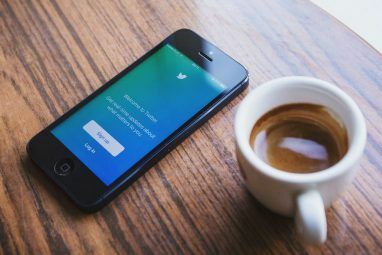 There are those of us who love Twitter 7 Reasons Why You Should Be Using Twitter 7 Reasons Why You Should Be Using Twitter Twitter has now been with us for seven years and counting. This was seven years to the day since Jack Dorsey sent out the first tweet in 2006, at a time when the micro-blogging social... Read More and those of us who hate Twitter The Five Most Annoying Things People Do On Twitter The Five Most Annoying Things People Do On Twitter Twitter also has a darker side. It is filled with annoying idiots who seem to tweet for the sole purpose of making everyone who has the misfortune of meeting them annoyed. These are the places... Read More . Those who hate the social network often cite its messy randomness as a reason to steer clear, but the newly public Twitter is hoping to kill that particular complaint with Custom Timelines. This allows individuals to create customized timelines of tweets around a particular subject or event. TweetDeck has to be used to create these timelines, but once created they gain their own URL and can be embedded on websites in the same way as individual tweets. I kinda like the messy randomness myself, but still. Microsoft is scrapping its hated stack-ranking system whereby employees are rated against each other. This system meant that some people in each unit of the company had to be rated as performing badly, even if everyone had actually performed admirably. It has previously been blamed for the destructive culture said to emanate from every pore of Microsoft’s being. Bizarrely, it seems as though at the same time Microsoft is scrapping this system Yahoo is introducing something very similar. 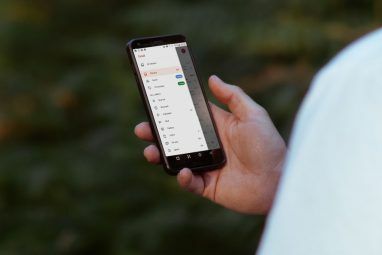 Gmail has gained Gmail Makes It Easier To Get Things Done With More Quick Action Buttons Gmail Makes It Easier To Get Things Done With More Quick Action Buttons Gmail has added more “Quick Action” buttons to the inbox which helps you carry out tasks with nothing more than a click. The context sensitive buttons are meant to be productivity boosters. Read More some extra ‘Quick Action’ buttons, with more being added to those introduced in May 2013. You can now rate restaurants, see the real-time status of flights, or interact with services such as YouTube or Dropbox, all from the comfort of your own inbox. Google has seen fit to make it very clear that “Your … information is not shared.” Which should prevent Microsoft being able to take another popshot Microsoft Aims To Lure Gmail Users With A Blunt Comparison Website Microsoft Aims To Lure Gmail Users With A Blunt Comparison Website Read More . The extremely short supply and quiet release strongly support @gruber’s theory is right that Apple just *barely* made this release in time. The new iPad mini with Retina Display has officially gone on sale, three weeks after it was announced at another huge Apple press event. Prices in the U.S. range from $399 for a 16GB WiFi-only model to $829 for a 128GB LTE-capable model. There have been constant rumors of supply constraints for this particular iDevice, so Apple fans are advised to get in quick if they want to be sure of getting the fancy new (smaller) iPad. Or just buy a Nexus 7. Whatever. Sony Worldwide Studios chief Shuhei Yoshida was quick to assuage fears this meant the company’s lenient attitude to used games was faltering, sending the tweet embedded below. But despite those assurances these new terms should be considered a warning for the future. The Twitter-owned video-sharing app Vine has been available on iOS since it launched in January 2013. Android users joined the party in June 2013, but it has taken until this week, a full 10 months since the app made its debut, to appear on Windows Phone. Still, better late than never… Now it’s up to Windows Phone advocates to prove they have the creative flair to compete with the best Vine videos released so far The Best Twitter Vine Videos Created So Far The Best Twitter Vine Videos Created So Far Short films can be truly amazing. Like the best short stories, short films often pack more meaning into their brief running times than full-length movies (or novels) do. There's something about the genre that compels... Read More . And finally, Shots Of Me has arrived on the iTunes app store. This is, believe it or not, a photo-sharing app designed solely for selfies. Which, for the uninitiated, are photos of you taken by you. Adding to the open-mouthed, “is-this-for-real?” vibe is the involvement of Canadian ladyboy Justin Bieber, who personally bankrolled the majority of the $1.1 million second-round funding. According to John Shahidi, CEO of the company responsible for Shots Of Me, Bieber “did a lot of due diligence. He asked a lot of questions and he calls all the time.” I don’t know about you but I’d require a lot more than $1.1 million to put up with Bieber calling me all the time. Explore more about: Gmail, Google Glass, iPad mini, Twitter, Vine, Windows Phone 8. In regards to the Twitter Custom Timeline, anyone who's loving Twitter that is, should check out http://www.tweetbits.com, we are bringing a platform where you'll be able to organize tweets into categories, save them, share, view others, export, pinterest images and so on. Be that for work, school, personal, marketing, whatever. No need for TweetDeck here.